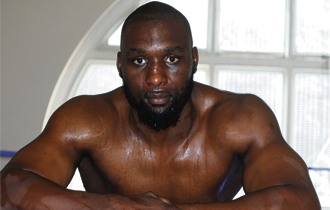 Latvia-licensed British heavyweight veteran Danny Williams (45-21) will fight in Frankfurt / Main (Germany) May 3 in what he says is his farewell fight. Opponent was to have been Boris Estenfelder (4-0) but he is out and now they are looking for a replacement. - I want to go out with a win, states Williams, who´s had it rough in the last few years fighting all over Europe with losses to guys he would have beaten a few years back. Former WBC cruiser champ Juan Carlos Gomez (54-3) won a split decision after eight over Croatian Ivica Bacurin (17-5-1) Saturday night in Kecskemet (Hungary). The fight was scheduled for ten but was shortened to eight due to time restrictions. Despite the split decision ringsiders describe the contest as a clear win for the 40-year old veteran. Czech veteran Lukas Konecny (50-4) will fight WBO middleweight champ Peter Quillen (30-0) April 19 in Washington DC. Konecny have been around for a long time and this fight probably comes a little too late for Lukas, who holds the WBO Euro title but had his best days at superwelter. EBU welter champ Leonard Bundu will make a voluntary defence of the title May 17 against an opponent to be announced. Bundu was last week all set to take on Gianluca Branco April 12 but then Branco had to withdraw with an injured knee. Mirko Larghetti have relinquished the EU cruiser title to go for the WBO crown held by Marco Huck and now Maurizio Lovaglio and Danny McIntosh will contest for the vacant title. The EBU are now calling for purse offers and the bids received will be opened March 25 at noon. EBU heavyweight champ Derek Chisora and mandatory challenger Kubrat Pulev are in negotiations for a showdown. The purse bids are again postponed this time from March 11 to March 18. Chisora vs Pulev is effectively also an eliminator for who will fight Wladimir Klitschko when´s he´s past Alex Leapai. Pulev is already mandatory challenger with the IBF. EBU bantam champ Karim Guerfi´s defence against Zhanat Zhakiyanov that was set for April 18 in Marrakech (Morocco) is cancelled due to what is described as a conflict with the champ, his manager and his trainer. More details to come.